Govi-Sumber aimag. Region of Mongolia. Place to visited in region of Mongolia. Govi-Sumber aimag. Choir. Gobi-Sumber aimag. Govi-Sumber aimag was established in 1994. 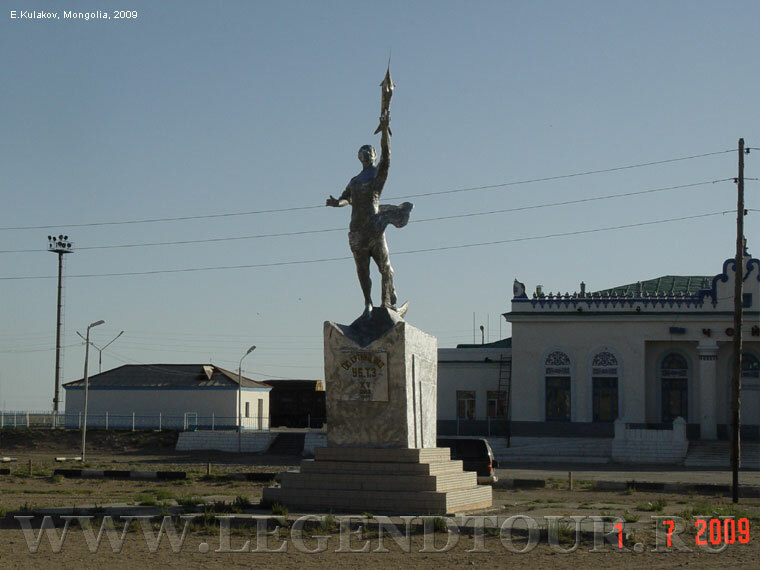 Govi-Sumber aimag is situated in the South-East part of the central regions of Mongolia. About 80 percent of aimag's land is suitable for extensive animal husbandry. The aimag is located in the steppe zone and it's altitude is 3281-3937 feet (1000-1200 m) above sea level. It's climate is extreme continental. Relatively more rainfall occurs in Govi-Sumber than in the rest of the Gobi: the average rainfall is 8-10 inches (200-250 mm). Maximum temperature in summer reaches +37° C and the temperature in winter drops as low as -37° C. Govi-Sumber aimag is rich in natural resources. Deposits of brown coal, oil, tin, clay for bricks and mineral paint have been discovered in the territory of the aimag. Choir. 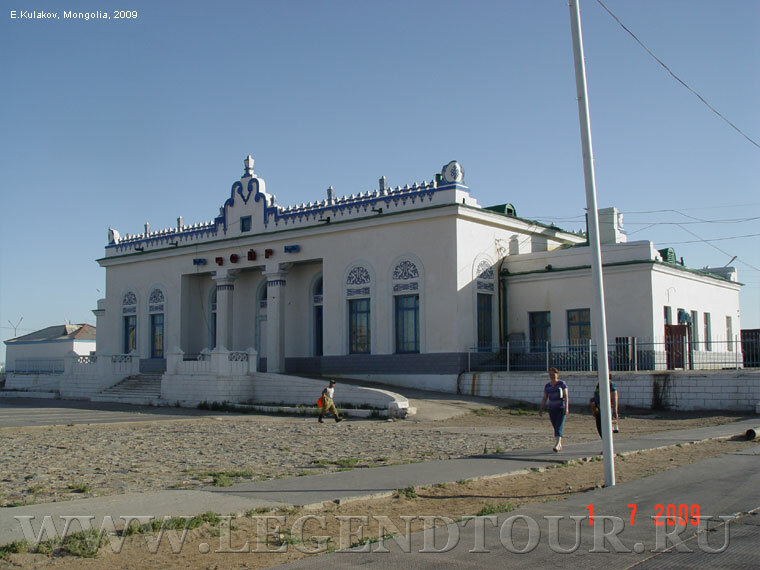 Choir, about halfway between Sainshand and Ulaanbaatar, is a town with one foot in the past and the other in the future. Unfortunately the present is pretty grim. The only reason to visit Choir is to explore the nearby springs at Khalzan Uul, or to refuel between Ulaanbaatar and Sainshand. 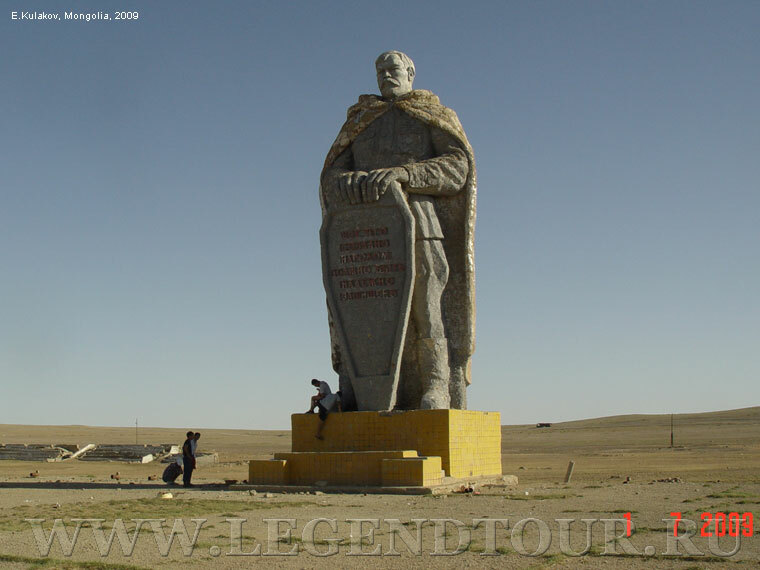 Around 15km north of the town is the village of Lun Bag, the site of the largest Soviet air base in Mongolia. The Russians departed in 1992, leaving behind an eerie ghost town of concrete buildings and statues of MiG fighters. Some of the flats, which formerly housed military personnel, are now occupied by Mongolian families, but many sit empty, the windows broken, the plumbing ripped out and the walls scrawled with graffiti. The Russians left behind something else: the best paved runway in Mongolia. To promote rapid economic growth, Choir formally seceded from Dornogov - it is now an autonomous municipality called Gov-Sumber, with a population of 13,300 - and was declared a Free Trade Zone. Nothing much was done to promote the area; development was postponed after the change of government in 1996 and is unlikely to take place in the near future. The map of Govi-Sumber aimag.